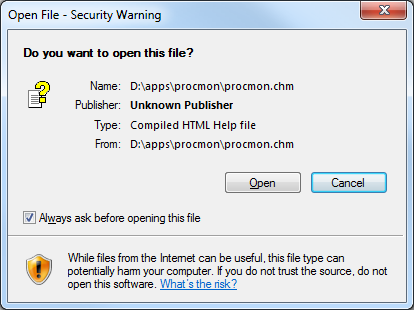 If you attempt to access the help file from within procmon on Windows Vista or Windows 7, its possible that windows may refuse to display the help file. It turned out that there was a security flag that needed to be cleared. 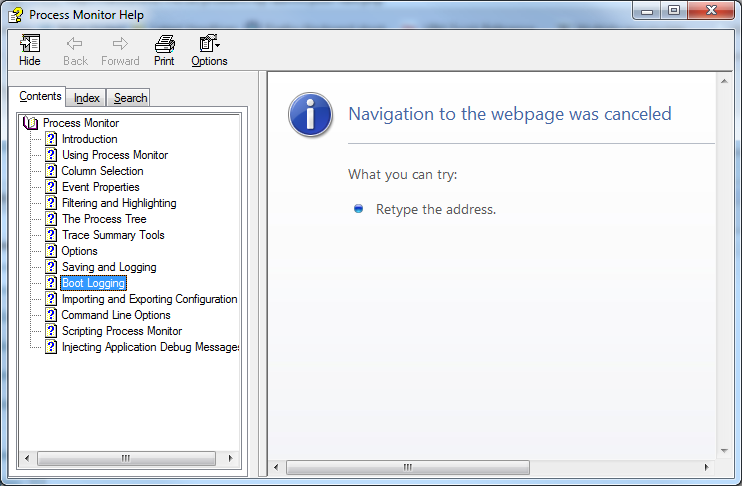 I unchecked the "Always ask before opening this file" box, and then when I accessed the help from within process monitor, I was able to view the help file properly.